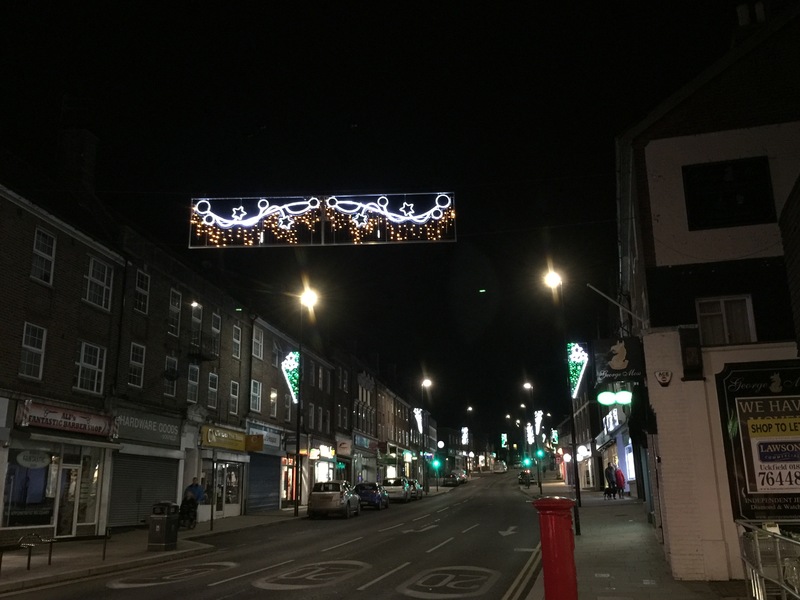 Christmas lights are twinkling above Uckfield High Street and the late night shopping date that brings thousands of families into town is fast approaching. Make sure Friday, December 7, is in your diary because that is when Uckfield Chamber of Commerce lays on street entertainment designed to put a spring in your step on this social occasion. Traders are already in a festive mood and their businesses well stocked as seasonal gifts are hunted out. 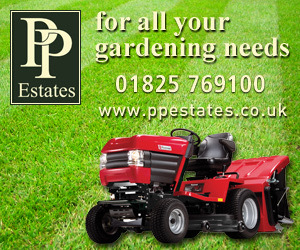 Many of them will be offering a seasonal tipple and mince pies to those calling in on December 7. 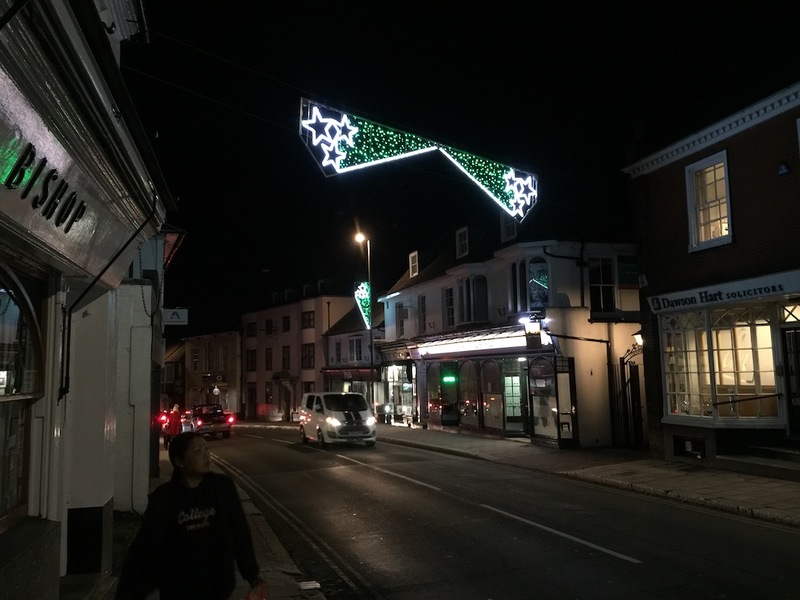 You can see some of the town’s Christmas lights in Uckfield News pictures below. Uckfield Town Council pays for them to go up each year with the Chamber of Commerce contributing towards the cost. 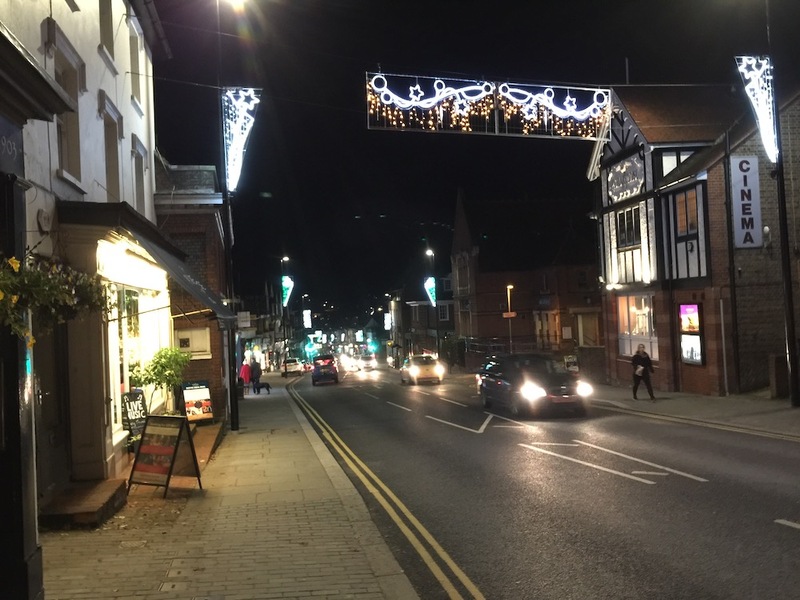 Read more about late night shopping in Uckfield here.